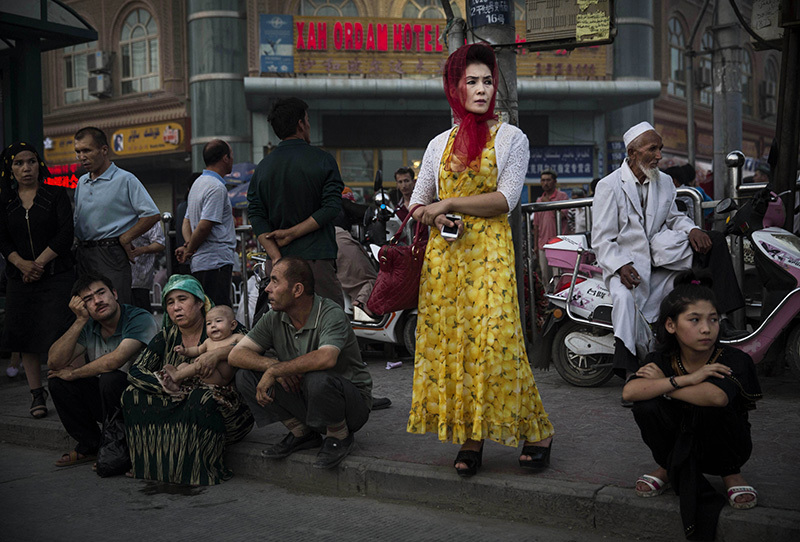 KASHGAR, CHINA - JULY 27:Uyghurs wait at a bus stop on July 27, 2014 in old Kashgar, Xinjiang Province, China. Nearly 100 people have been killed in unrest in the restive Xinjiang Province in the last week in what authorities say is terrorism but advocacy groups claim is a result of a government crackdown to silence opposition to its policies. China's Muslim Uyghur ethnic group faces cultural and religious restrictions by the Chinese government. Beijing says it is investing heavily in the Xinjiang region but Uyghurs are increasingly dissatisfied with the influx of Han Chinese and uneven economic development.